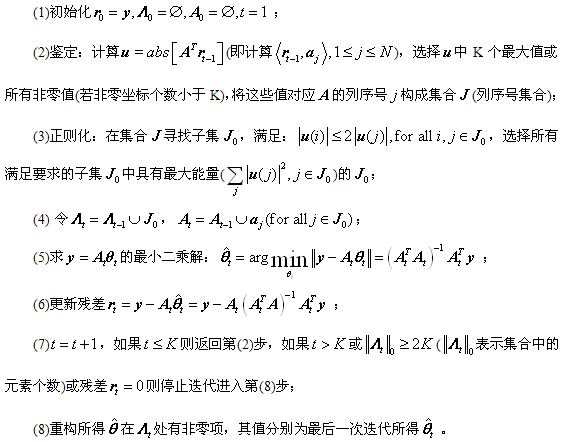 在看代码之前，先拜读了ROMP的经典文章：Needell D，VershyninR．Signal recovery from incompleteand inaccurate measurements via regularized orthogonal matching pursuit[J]. IEEEJournal on Selected Topics in Signal Processing, 2010, 4(2): 310—316. %   signal recovery via regularized orthogonal matching pursuit. 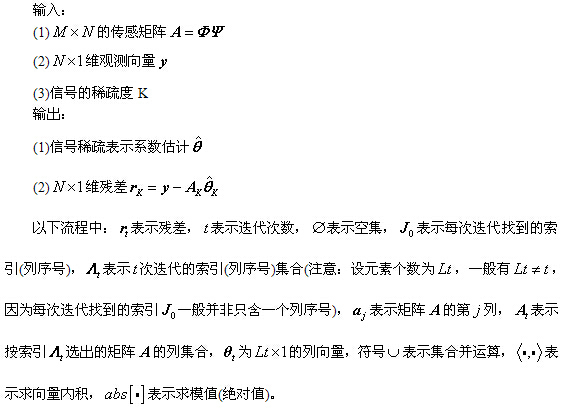 %   Foundations of Computational Mathematics, 2009,9(3): 317-334. %   IEEE Journal on Selected Topics in Signal Processing，2010，4(2)：310—316. Needell D，VershyninR．Signal recovery from incompleteand inaccurate measurements via regularized orthogonal matching pursuit[J]. 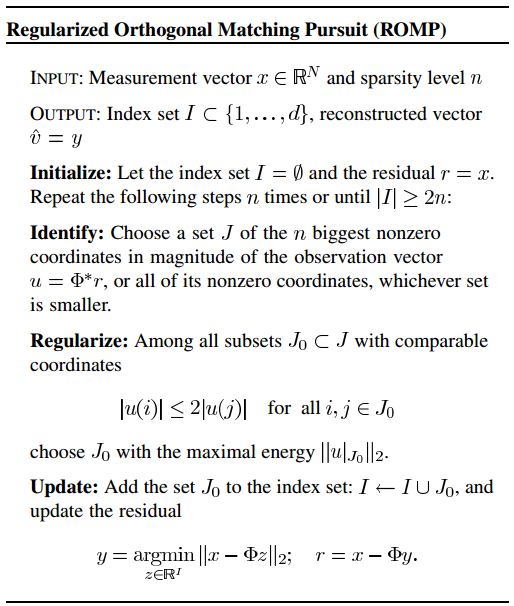 IEEEJournal on Selected Topics in Signal Processing, 2010, 4(2): 310—316.